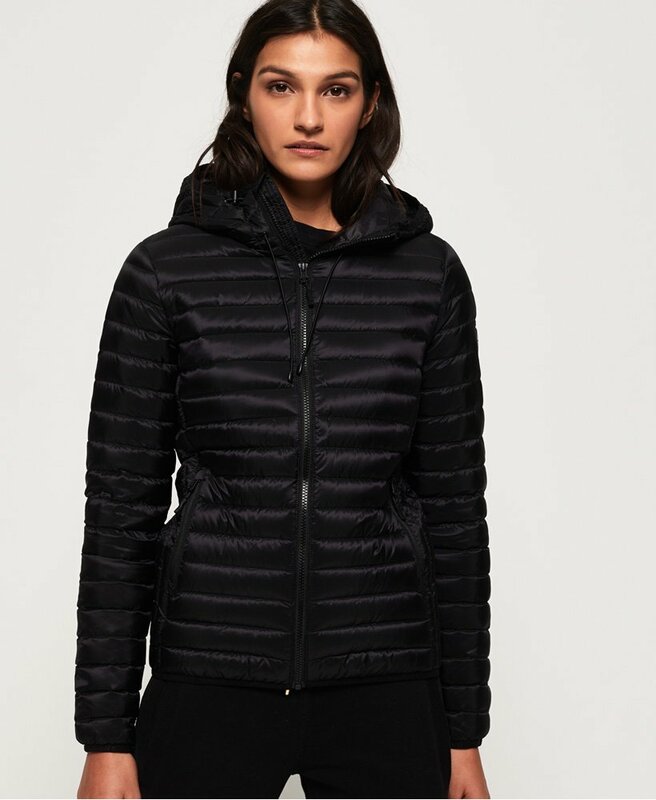 Superdry women’s Core down hooded jacket. This lightweight, quilted jacket features a 90/10 premium duck down filling, providing fantastic insulation for when the temperature drops with a very high fill power rating. The jacket also features an elasticated hood, cuffs and hem, two front pockets and zip fastening. Completed with a Superdry logo badge on one sleeve, the Core down hooded jacket is the perfect transitional piece this season.